It has been said that motherhood is the hardest and most rewarding thing you will ever do. An anonymous quote says, “Motherhood: The only place you can experience heaven and hell at the same time.” There are days you want to pull your hair out and counting the minutes to bedtime; then once your child is peacefully sleeping you look at them and feel an overwhelming sense of love and actually miss them! Those days when you think you could not possibly do another day; you do indeed! There are some common things that are more frustrating than others. Have no fear! You are not alone! Mornings are the WORST! Mornings especially are stressful once kids are school age or if you are a working mom. Getting everyone out the door on-time and making sure everyone has all that they need can be the definition of insanity. Kids are running around screaming, you are yelling, no one is listening then you may start crying too. Sound familiar? Take a deep breath mama. Or at least try. One way to try and help ease the pain of morning stress is prepping the night before or getting up before the kids do so you can can some things done in peace. Tantrums can be mind blowing! Mini tantrums can start early, even before the age of one. For some children they continue to get worse and around the age of three or four it can peak. For families with more than one child this can be extra overwhelming. Especially if it happens in public. I know there have been plenty of moms who have left a full cart in the middle of a store, barely holding onto a toddler or two, sweating, red faced and on the verge of tears. All the while you feel that the entire store is staring at you and whispering. Some of them probably are but trust me, there are more that are thinking, “that poor mama”. Again, you are not alone. Lack of sleep can leave you feeling un-human! Once you become a mother your sleep will never be the same. Unfortunately sleep deprivation enhances every emotion and makes life feel even more intense. In those moments when you haven’t slept a wink and your child won’t cooperate by sleeping, it can feel so frustrating. To top it off your partner can probably sleep right through it. For many mamas naps are not an option because of other children or work. You are not alone. Reach out. It is ok to feel sad and angry. You may feel like you have lost YOU! Showering feels like a mountain to climb some days. Doing your hair and putting on make-up? Forget about it. Getting up early and exercising? Too tired. Eating healthy and shedding extra baby weight? No energy. Going to see your favorite musician with friends? The kids freak when you leave. Sound about right? Pick one thing at a time and do it anyway. You will feel better after you do. And guess what? Everyone in your family will survive! For some mothers this is just the tipping point. Talk about it. Find other mamas that are supportive. Laugh about it; sometimes that is all you can do. Have a good cry; it’ll do the body good. Allow yourself to enjoy self care. Whether it is 20-30 minutes after the kids are in bed or a night out with friends. If you have a partner, share with them what you are feeling. They may be feeling the same way. Find a good routine for your family. Kids thrive with routine; even though it can be tough to stick to! It won't be long before it is time for kids to head back to school! Along with school supplies and new clothes and shoes there are great ways to help prepare your children for a successful start to the school year. 1. Start the day with a good breakfast that includes protein. We have all heard the importance of a good breakfast. For kids, it is very important to eat a good meal before a full day of learning. Including protein in the meal will help tide them over until snack or lunch. Here are some simple ideas even for the pickiest eaters! 4. Make space for family check ins. Does your family have a regular time to check in with each other? This could be during after school snack, family dinner or bedtime. 5. Be prepared the night before. Getting ready for the morning the night before will help the morning go smoother for you and your child. As the new school year approaches try and set aside a special day for your family to celebrate the new year. Best wishes to you and your family for the year ahead! Congrats! Your baby has arrived! This is a very exciting time for both moms and dads. As life shifts into parenthood, there are many adjustments to be made! We have talked with dads and compiled a list of the Top 10 Things Every Dad Should Know. Sleep: Some of the best advice is to sleep when your baby sleeps. You will find after a few days that two-hour naps all night is simply not enough. Take turns. Four or five hours of sleep will become an amazing amount of time and you will feel like Superman. This goes for your partner too. Remember to give her breaks and time to sleep in between nursing. You will lie around and cuddle with the baby and for the first couple of weeks will have energy for nothing else. This is normal! Hormones: Just when you thought your partner was done with hormone changes because pregnancy is over, you will realize that there is a big hormonal shift that takes place postpartum. Her body is going through major changes. Be gentle with her. She may cry more. She may have a shorter fuse due to hormones and exhaustion. Make sure she is well fed during the day and give her a little extra love and patience. Breastfeeding: Breastfeeding is hard work! Especially the first two weeks. Expect your wife to need to talk about it. You may feel a little left out because this is something only your wife can do. You can support her by listening, making sure she has snacks and water, and getting her a good book to read during those long nursing sessions. If she has trouble with breastfeeding, offer support by setting up an appointment with a lactation consultant. Poop: There is never too much you can say about poop. You will talk about the color, the consistency, and how much poop there was during a diaper change. You will be proud of your baby pooping. You will Facebook about it. You will tweet about it. You will be covered in it. Visitors: People are going to want to visit your new bundle of joy. During the first week, try to keep visitors to a minimum. If people do visit, make it your job to keep the visits about 15 minutes long. They may offer to help with meals, cleaning, dog-walking, babysitting older children, etc. Do not hesitate to say YES! And if they don’t offer, ask. These are some of the best gifts you will receive. Your Baby: You’re baby won’t break. You will want to be gentle of course but babies are strong and made to be handled. It is completely normal for you to feel uncomfortable. Go easy on yourself. Sometimes it can take dads a little longer to bond with their new baby. Friends: Once your partner has gotten settled in and you both have gotten rest and feel human again, remember to take some time for yourself. Go out with the guys for a couple of hours. Especially the ones that have been through this before! If your wife feels apprehensive about being alone organize a friend or family member to keep her company or just be there if she needs something. Leaving the house as a family: This can be a little daunting and you will be surprised how long it takes to get out the door and you may feel like you are bring the whole house with you! Give yourself some extra time on those first few outings. Your Partner: There are many ways to help and make the ride smoother. Compliment and encourage her. She has just given birth and she wants to hear that you are proud of her. Give her breaks, even to do something as simple as taking a shower. Reassure her that she is doing a fantastic job. Bring her meals in bed, all of them. During postpartum rest is vital for her. During recovery and healing, her main job is making milk, breastfeeding and resting. Housework & Chores: Keeping the house clean and laundry done will be a huge relief to your partner and even further allow her to rest. She will surely thank you for it! Health Foundations Birth Center offers a comforting, supportive environment for both moms and dads during pregnancy, birth and postpartum. Schedule a Tour and Information Session today! In what ways have you prepared for your baby’s arrival so far? 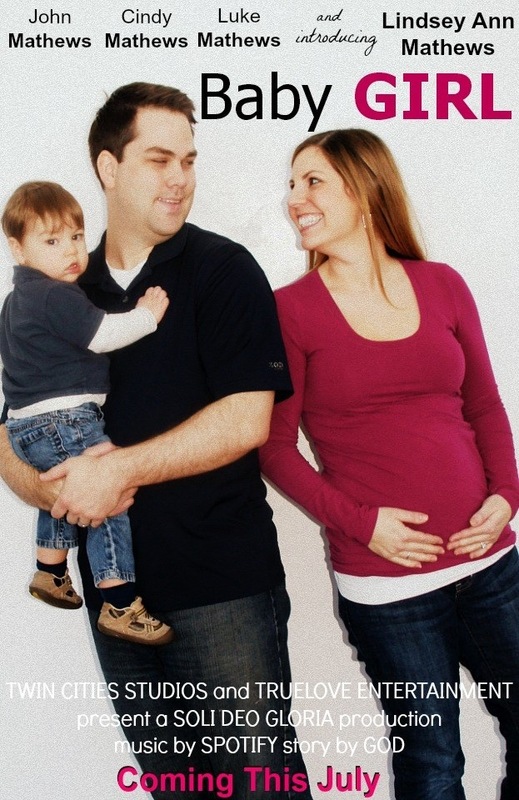 How have you (or how did you) prepare for baby’s arrival during your pregnancy? A birth mantra or affirmation is a positive statement and intention for the pregnancy or birth experience. A mama may select her own affirmation or affirmations and repeat it/them to herself or out loud during times of relaxation, upon waking and going to sleep, during the birth experience, or any time she needs encouragement during pregnancy or labor. Positive birth affirmations can profoundly affect our outlook and our experiences—the thoughts we choose about our birth can seep into the unconscious and powerfully influence our actual experiences. They can calm, relax, encourage and support us as we move through our journeys of pregnancy, childbirth, and motherhood. Birth affirmations tend to be the most powerful when they are set in the present tense (as if they are happening to us right now). Writing them down in a journal or something you hang in your space and repeating them often also make affirmations more potent. During labor, you may even want your support team to repeat your chosen mantras to you. Here is a list of other birth affirmations expectant mamas can browse to find something that perfectly resonates with them. What is your favorite birth mantra? How have birth affirmations helped you through pregnancy and birth? This week’s question: How did you share the news of your pregnancy with your partner? The video above is from one of our lovely Health Foundations families, the Ingmans. What a fun way to share the news of your pregnancy! “I said ‘we’re going to need a second car seat’.”—Toni R.
This is a great announcement from one of our fabulous families. How did you share the news of your pregnancy with your partner, friends, and family? We'd love to hear your story! Collective Wisdom: Why Did you Choose a Birth Center? In addition to our “Meet the Health Foundations Family” feature interview series, we are also excited to introduce another new blog feature this year. We’re calling this one “Health Foundations Collective Wisdom.” In this series, we are gathering wisdom, insight, and knowledge from our Health Foundations patients—mamas, mamas-to-be, and their families. We hope you enjoy the collective gathering of YOUR wisdom, sweet families! Why did you choose to have a birth center birth? “We wanted a normal birth process. Our first was at the hospital and it felt out of control. I felt like a lab rat.”—Toni R.
If you would like to contribute to our Collective Wisdom posts, Aubrey has questionnaires at the center you are welcome to complete them and return them to her or your midwife any time! You can also post in our comments section. Next post's question: How did you share the news of your birth with your partner?